Earn $46.03 in VIP credit (4603 points)What's This? The perfect blend of light weight and durability with the smallest 5 cogs in steel and the larger 6 in Titanium. 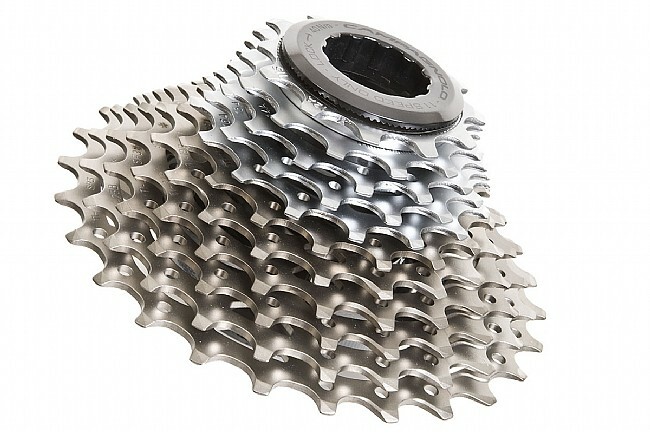 The smaller cogs wear faster and received less weight savings with the use of titanium, so Campy decided to use durable nickel/chrome coated steel. The larger cogs wear slower and receive greater weight savings with the use of Titanium. 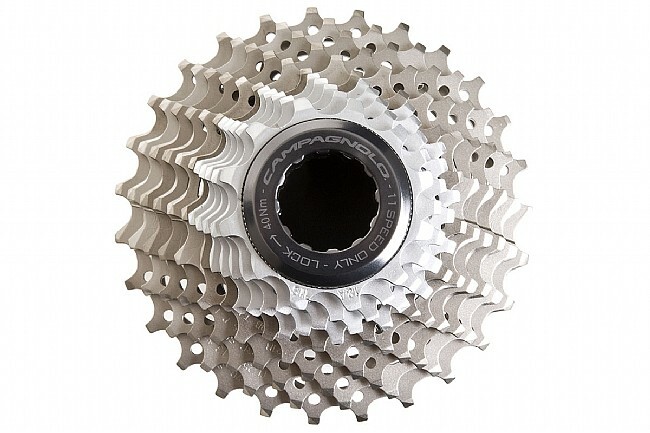 Finding this perfect blend, Campy has done away with their all titanium cassette, which wasn't really all Ti anyway. New tooth profile designed to shift flawlessly with the Record 11 speed chain. 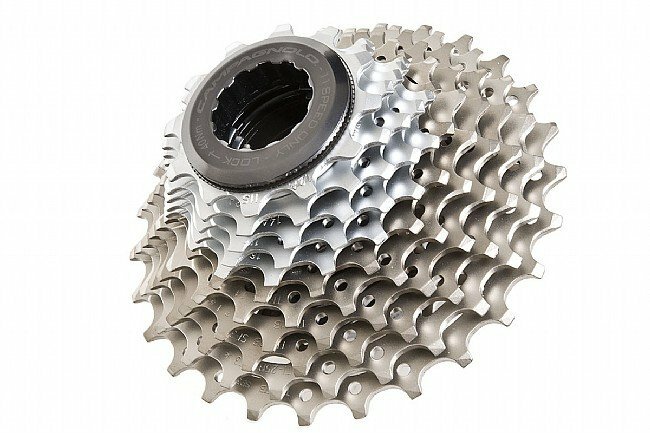 New carrier for the six Ti cogs holds two groups of three sprockets making the cassette considerably lighter and stiffer. Alloy lockring included.